The attribute of the month of Nissan is speech. The culmination of perfected speech takes place of the zenith of Nissan during the Seder when we fulfill the mitzvah of telling over the story of the Exodus. As we clean the nooks and crannies of our cabinets, we also have the opportunity to prepare for Pesach by liberating our speech from the dust of negativity. The students of B’erot have been practicing perfection of speech for the sake of healing the wounded of the last terrorist attack. They added to the regular “Guard your Tongue” regiment, to also abstain from complaining. When I tried to follow suit and do the same, I realized how difficult it is not to complain. Read on to learn from the story of the lepers in our haftorah about how perfection in speech includes refraining from different kinds of negative speech that we may not be aware are also a kind of lashon hara. This week’s parashah discusses various forms of tzara’at, (skin diseases), that could befall a person who is not careful with his speech. The haftorah describes the four men afflicted with tzara’at, who were starving like the rest of Israel during the Armenian siege during King Yerovam’s time. The lepers discovered that the Armenian forces had fled during the night leaving behind their tents, horses, and supplies. First, the lepers grabbed as much as they could for themselves, but then they had a change of heart and decided that they really needed to share the good news with the rest of Israel. “So they came and called to the gatekeepers of the city, and told them… And the porters called, and they told it to the king’s household within” (2 Melachim 7:10-11). The haftorah teaches us that in order to perfect our speech, we need not only to avoid gossiping and speaking negatively about others, but also to speak up and communicate when necessary for the sake of doing Hashem’s will. The lepers’ decision to share the good news with the rest of Israel, regarding the surrender of the Armenian army, on that very day, rather than waiting till later, was their teshuva (repentance), from their previous evil speech. I once knew a family who was extremely private about everything in their life. When their newly-wed daughter was going through a difficult time in her marriage, a few people tried to speak with the family to urge them to get professional help. The family was traumatized and feared being exposed and becoming the talk of the town. 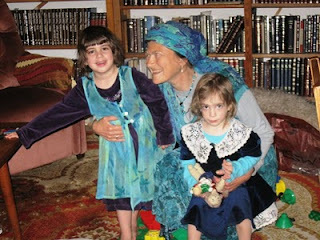 They did not realize that the Jewish way is sharing not only our friends’ celebrations, but also their hardships. The root of evil speech is negative thinking and judgment. My “non-religious” sister taught me a very important lesson regarding this matter. I will never forget how she responded when I once apologized for a comment I made in error. When I told her, “Sorry, I shouldn’t have said this,” she responded, “You shouldn’t even have thought it!” Training our minds to give the benefit of the doubt rather than jumping to negative conclusions and judging other people, is the best way to avoid negative speech. In the Kabbalalistic structure of the sefirot, feminine energy is placed on the left side associated with judgment and contraction. Therefore, we have to be very careful to use our sense of judgment only when it can make a difference. For example, there is no point in judging our friend for going on an expensive vacation that we think she can’t afford. Yet, it is important to make a judgment that our friend is not feeling well, in order to extend a helping hand. The Ba’al Shem Tov teaches that if it happened that we see or hear about someone else’s wrongdoing, we have a tinge of the same problem ourselves. Rather than judging the person, we should become motivated to rectify ourselves. Although it is hard to stop ourselves from lashon hara, as it states in the Talmud, “We all fall prey to a tinge of lashon hara” (Babylonian Talmud, Baba Batra 165a), our spiritual work is to rectify ourselves by removing the trace of our own negativity. When someone else’s wrongdoing motivates us to refine our own minute imperfections, we have the ability to elevate the person whom we witnessed act in a negative way. Rabbi Ya’acov Yosef explains that since we are all part of one cosmic person, this unity gives us the ability to include the person who sinned within ourselves when we repent. (Toldot Yaacov Yosef, Parashat Lech Lecha). This is the meaning of, “Guard your tongue from evil…” (Tehillim 34:14) – do not despise or speak about the person who did evil. Rather, “…turn away from bad” (ibid. 15) – and rectify this evil. By means of this you can “…do good” (ibid. ), by causing that person to become good and repent from his evil (Arvei Nachal, Parashat Lech Lecha). Just as our entire psycho-physical makeup is a reflection of our inner selves. Similarly, everything we see or hear is only a reflection of our own selves. A good person will always notice the positive. Someone that once worked for us used to come the times that suited himself rather than the times we had requested. He would also often do the work he felt like doing, rather than the work we had instructed him to do. This would annoy me tremendously until I decided to look within myself, and see if I could find a trace of the same problem within my own character. I realized that I, too, did the mitzvoth of Hashem during the times that suited me rather than at the preferred time. For example, I used to always start preparing for Shabbat too late, and almost never completed everything in time to light the Shabbat candles the preferred time – eighteen minutes before sunset. Moreover, I used to do the mitzvoth I felt like, rather than what was required, such as allowing my husband to get the last word. I tried to really work on myself to complete the Shabbat preparations on time and to show more respect to my husband. Soon after I had this realization, our worker started to come on time and do the job we had asked him. The end of the haftorah describes the skeptical officer who disbelieved in the miracle which Elisha had prophesized. Despite the long severe famine, he announced that food would be so plentiful the following day that the prices of barley and fine flour would drop drastically. “It came to pass, when the man of G-d had spoken to the king, saying: ‘Two measures of barley for a shekel, and a measure of fine flour for a shekel, shall be to-morrow about this time in the gate of Shomron’; that the officer answered the man of G-d, and said: ‘Now, behold, if Hashem should make windows in heaven, might such a thing be?’ and he said: ‘Behold, you shall see it with your eyes, but shall not eat of it” (2 Melachim 7: 18-19). As a punishment for his lack of emuna, this officer was trampled by the people, as he stood guard at the gates of the city. From this we learn that lashon hara (evil speech) is not just gossiping and noticing fault in other people. Expressing disbelief and lack of emuna in Hashem is also a form of lashon hara. The end of the haftorah alludes to the fact that the root of all evil speech is a lack of emuna. If we really believe strongly in Hashem, we would never judge others for their shortcomings except for the sake of helping them grow. We would never get angry or upset with anyone, as we would realize that their action manifest Hashem’s will. Moreover, emuna in Hashem leads to emuna in other people. When we believe that there is nothing in the world Hashem can’t do, we are also more likely to believe in other people, giving them the benefit of the doubt. Just as it seems impossible that the physical reality could change so drastically by Hashem’s miracles, likewise actions that appear at first glance to be negative, may actually have good reasons, and in reality be positive. Our emuna in Hashem teaches us to look within for the kernel of good in others and gives us faith in our ability to rectify the trace of negativity within ourselves. Wow Rebbetzin...this article "speaks" to me on SO many levels, and for that I can not thank you enough! So good to hear. Thank you very much. Pesach: A Meat & Potatoes Holiday?